Bigger is better! 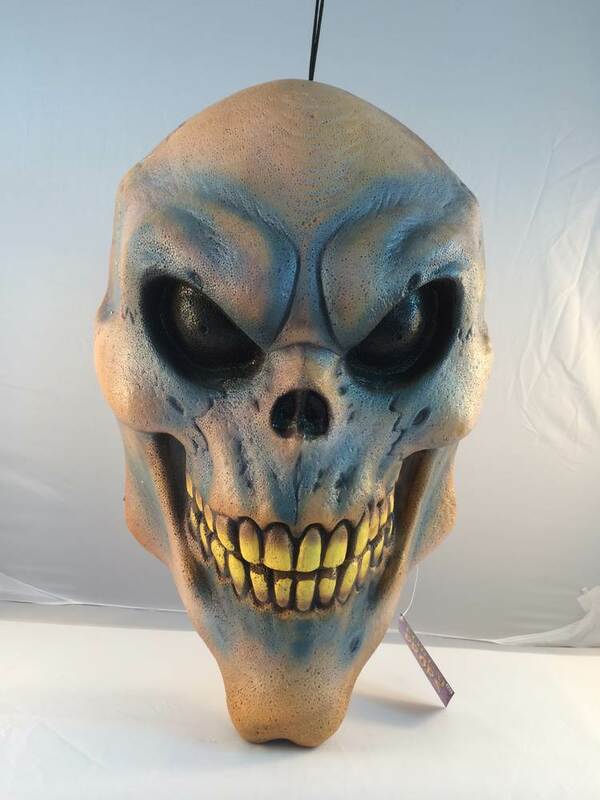 This Giant Skull is approximately 25'' tall x 16'' wide x 8'' deep. Flat hollow back with a string for easy hanging. Made of polyfoam.